So, I could start this post by explaining why I've been missing from this blog for so long and why I'm lazy and if I didn't want to write, why did I start this blog in the first place. But then my tone would have to be sheepish and sad and I'd probably even have to start justifying myself by throwing in some comments about how Gurgaon isn't a great place to stay anyway and what can I really say that hasn't been said before and so on. Why do any of that, right? Let's skip right to the part where I tell you what motivated me to write again after (ummm...) a little while. I had a superb mother-daughter sort of afternoon today, which happens rarely because I also have a son and my life is all about convincing each of my children that I don't love the other one more. That excludes a lot of one on one activities with either kid, unless I'm in the mood for accusations with detailed examples to illustrate how I always love the other one and never do anything for this one. If you have two kids, I can see you nodding in agreement right now. Okay, back to my afternoon...Dora - the one who hangs out with Diego and Boots and likes to explore stuff and has made little girls everywhere very happy for very long - is in town! She's at Siri Fort Auditorium in Delhi with the whole gang and my daughter and I went and saw them all today. 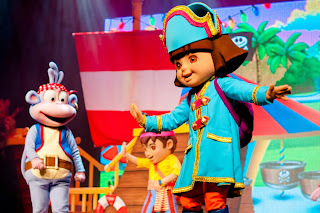 The show is called Dora's Pirate Adventure and it's really nicely done. The storyline is quintessential Dora - a task has to be performed and there are many obstacles in the way. 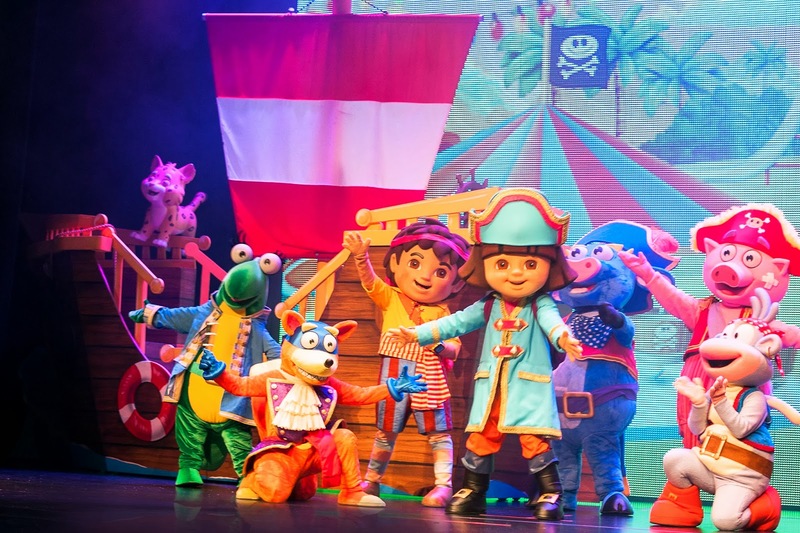 Dora and her friends overcome these obstacles by thinking, solving problems, asking politely, and of course, singing and dancing. This is usually what happens in all Dora movies and books. But seeing a live performance is so much fun. 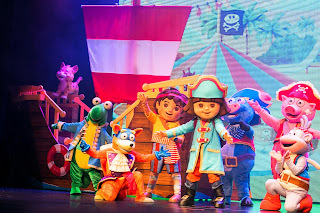 The performers are very high energy, the props and costumes are really cute and make Dora's world come alive, and the whole show is very nicely choreographed and coordinated so everything just comes together seamlessly. 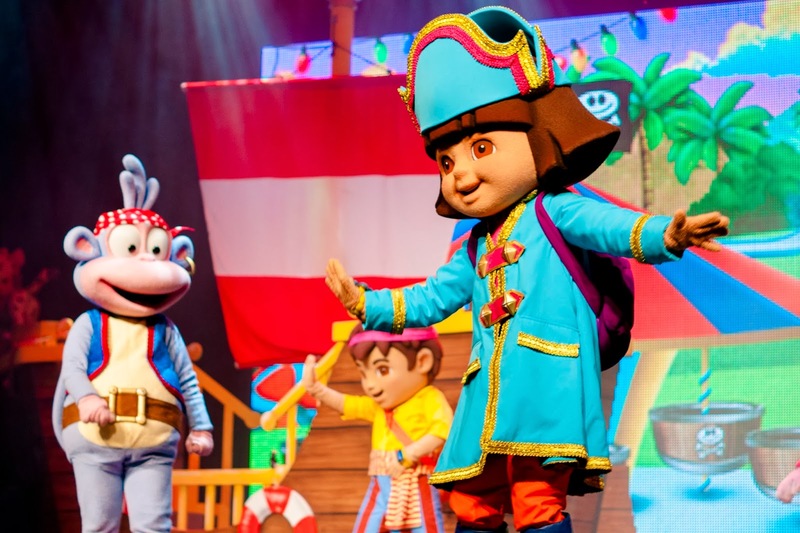 The best part, of course, was watching how involved the audience was...all the little girls were dancing and waving and singing and talking along as Dora and her friends were doing their thing, which, in this case, was looking for a treasure chest. Even my daughter, who is normally pretty shy was dancing in the aisle and pointing and laughing at Dora's instruction. They have three shows a day (12, 3, and 6 p.m) and you can buy the tickets off the Book My Show website. The tickets are priced in a few different slabs - there's a seating map on the website that you can use to decide the slab you want. The only problem was that the show didn't start right on time - hopefully, that was just one off. Another little bit of information if you go - there's a snack counter right outside but you can't take any food into the auditorium...so if you buy your kids something to eat during the interval, make sure they finish it quickly - there was a lot of uneaten food outside the door today because the show started and kids didn't want to miss it! Do drop in and leave a comment if you happen to go. Also, as always, if you have suggestions and feedback on other such events happening in Gurgaon or even Delhi, please do share.